Hello hello! So guess what! 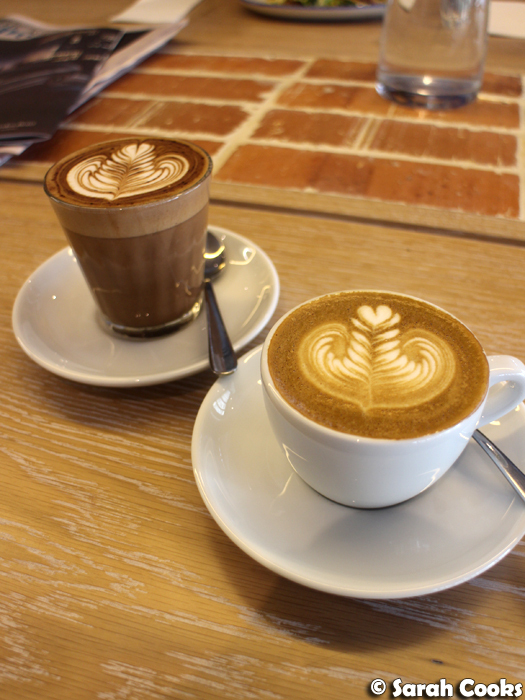 It's already May, and I just realised I haven't blogged a single cafe this year! Whuuuut! 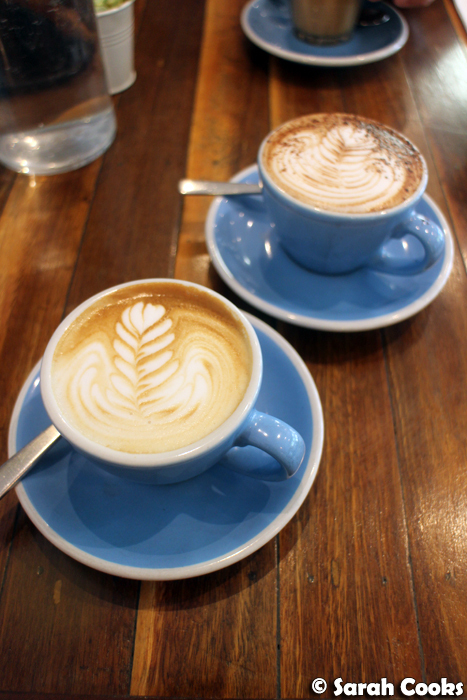 I've definitely been visiting cafes this year - usually just for coffee, but I have done some lovely brunches too. 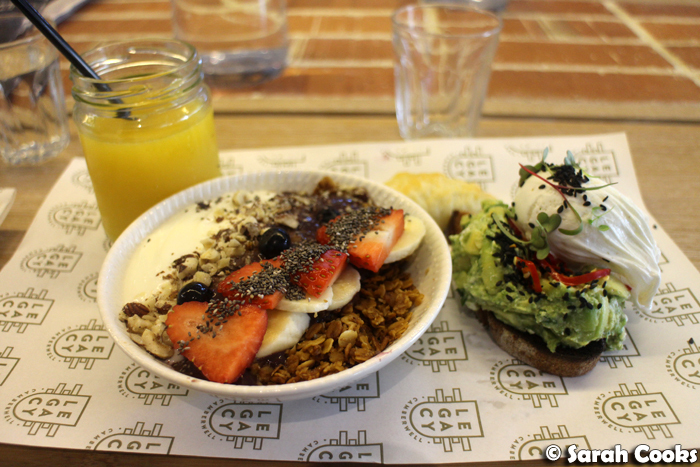 So for today I thought I'd share with you some of the new cafes I've visited for brunch this year. These ones all happen to be on the east side of town... enjoy! 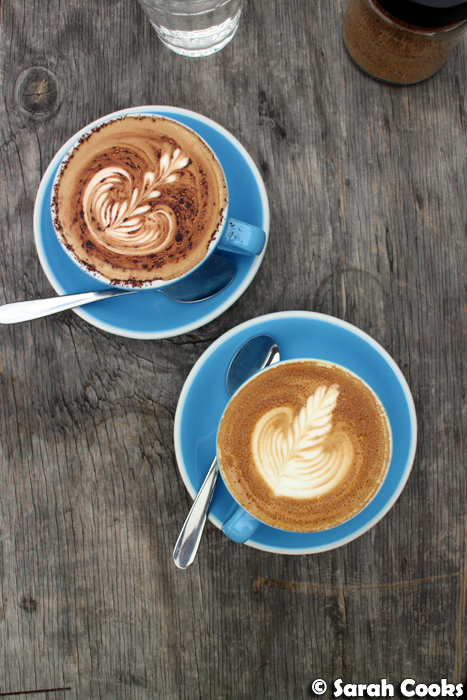 Legacy is a new-ish cafe in leafy Camberwell. The main demographic seems to be blonde women in expensive active wear, and the trend-driven menu menu is a good mix of healthy and indulgent. 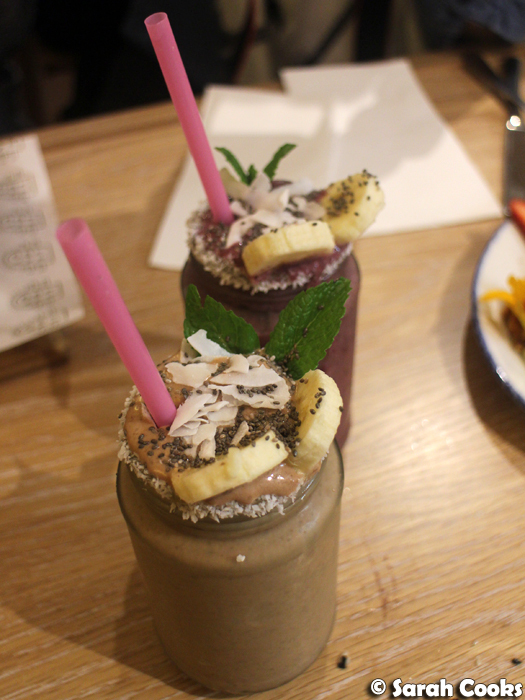 The smoothies are intense, really rich and thick! The Royal Reese, especially, could be a meal in itself. 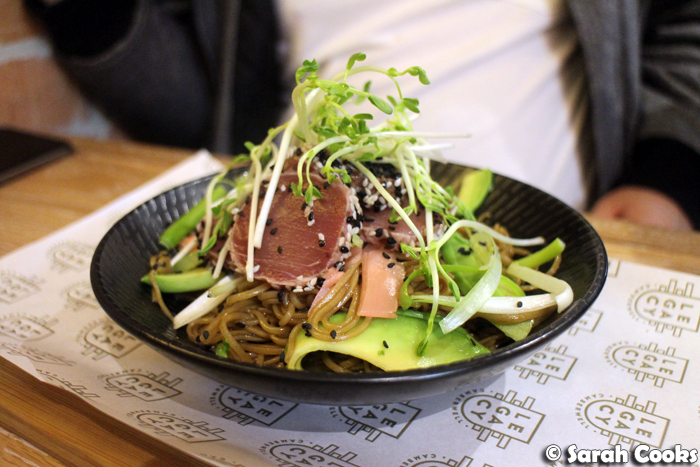 The tuna tataki with soba noodles was a great dish, well balanced and very refreshing. Technically it's a lunch dish but I'd love it for breakfast on a warm morning - soba noodles, avocado, pickled ginger, perfectly seared tuna slices, crunchy pickled ginger and a soy-based dressing. Delicious. Much more decadent were the fluffy hokey pokey hotcakes, with housemade honeycomb, whipped ricotta, creme fraiche and fresh fruit. The time we had the hotcakes, there were a couple of big pockets of bicarb in the honeycomb, that weren't mixed through properly, which made for some unpleasant salty-fizzy mouthfuls, but other than that it was a pretty and tasty meal. My favourite dish here is the Little Somethin' Somethin' - a breakfast board with a mini açaí bowl, OJ, mini croissant and a half serve of smashed avo and poached egg on toast. Perfect for an indecisive eater like me! 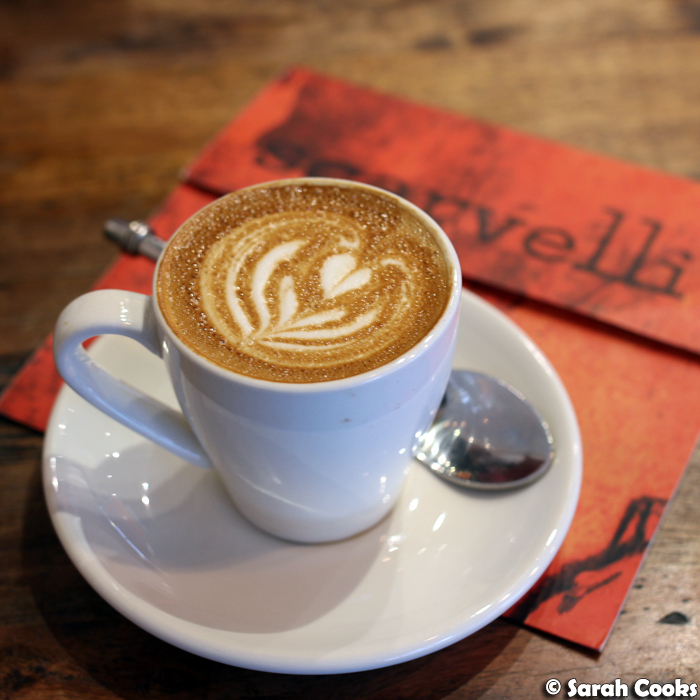 I was invited to try out Scarvelli, a cute little cafe in Balwyn right next to the Goodlife gym. The day we went, it was cold and rainy, and the cafe was warm and super cosy. The menu seems to change seasonally, and I don't think the dishes we tried are still available, but these pics will give you an idea of the type of dishes that Scarvelli serves! 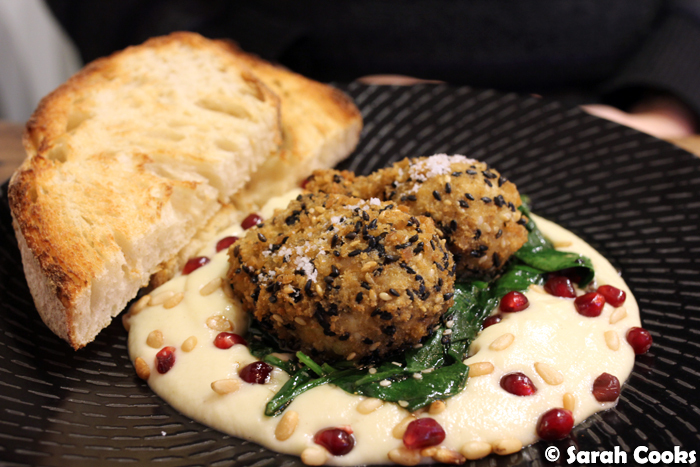 The crumbed dukkah eggs were crisp outside and perfectly runny within, and I loved the creamy cauliflower puree. 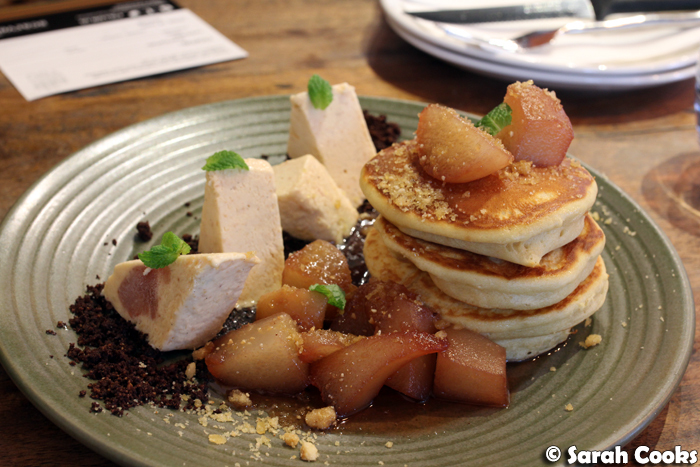 The pikelets were a fun dish - the fluffy pancakes served with crunchy chocolate soil, smooth quince parfait and poached pears. It was a great mixture of flavours and textures - indulgent without being overly sweet or rich. Winner! 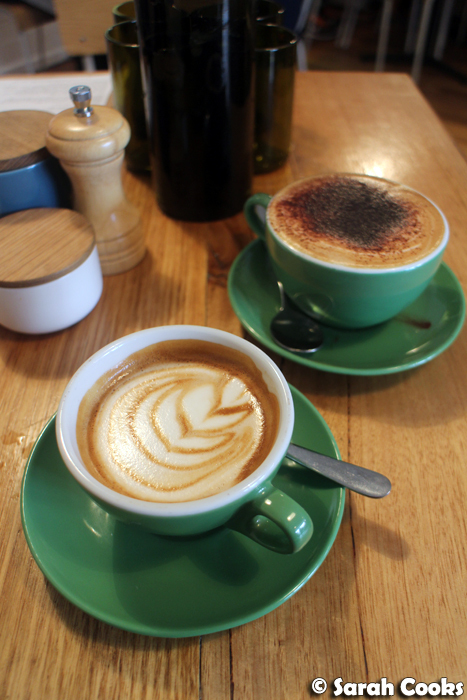 Finders Keepers is a small and simple cafe on Riversdale road, near the corner of Glenferrie. 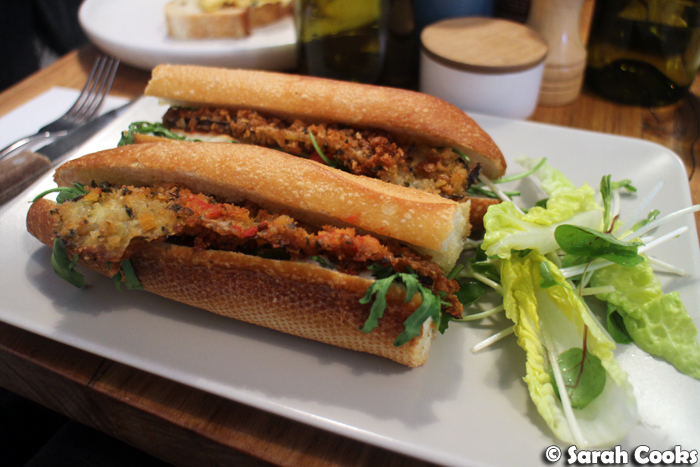 They serve the usual breakfast dishes - eggs on toast and so on - but if you see the crumbed eggplant baguette in the cabinet, definitely order it. It's absolutely fantastic! 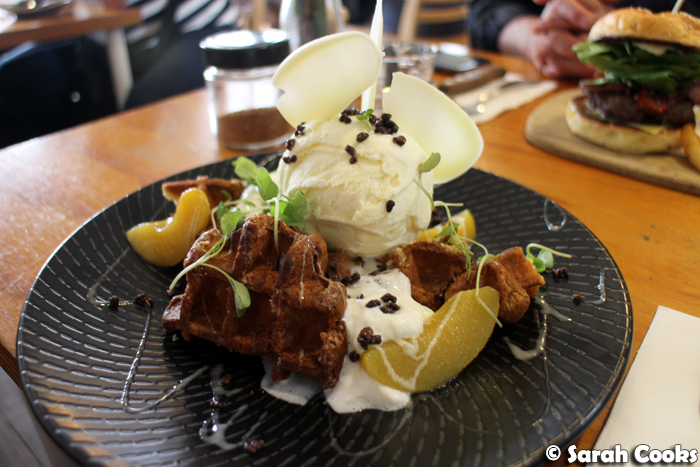 Butter Dish is a sweet little cafe in the Camberwell market, serving creative brunch fare, and super fun drinks. Peanut butter hot chocolate with crushed malteasers, anybody? 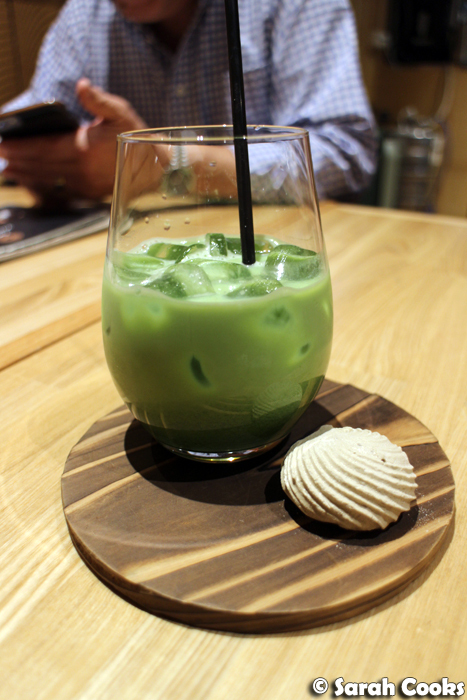 Green tea soy latte? Or how about a ribena spider with lychee? 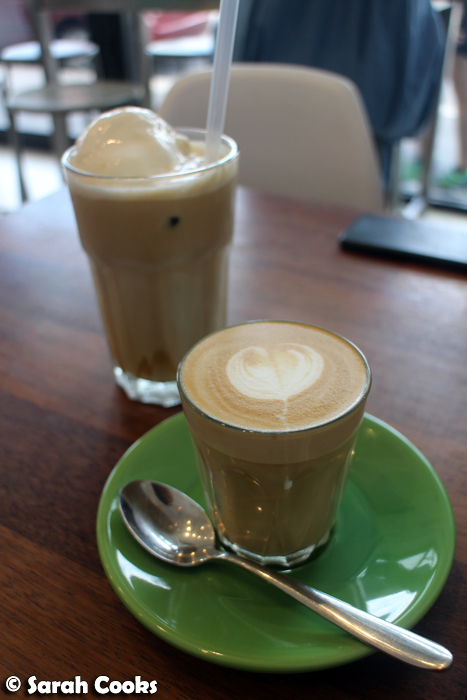 When we visited, we went for a simple latte and an iced coffee, but next time I'll be a bit more adventurous. 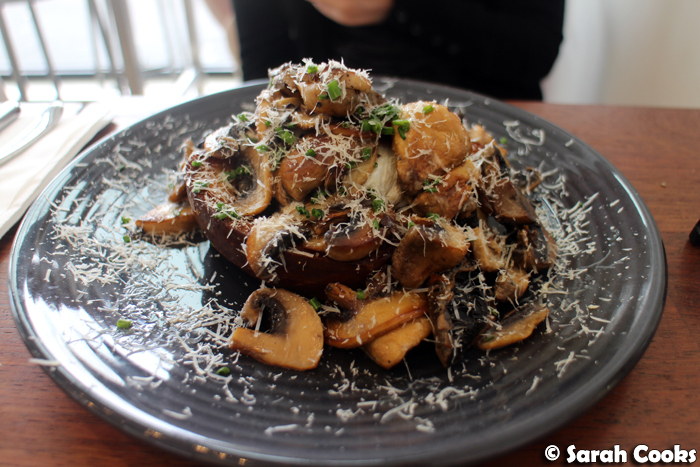 The creamy mushrooms with poached eggs were impressive, if a little on the sweet side with the thick slab of brioche toast. You can't see them under the mountain of mushrooms, but the poached eggs were nice and runny on the inside. 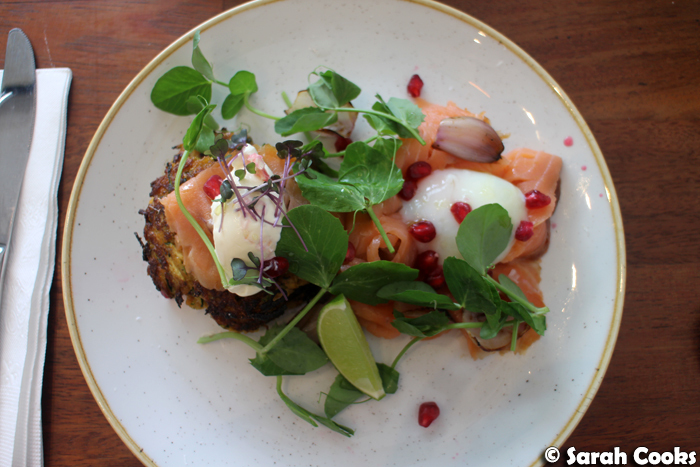 I really loved the zucchini fritters with its wobbly wobbly onsen egg, generous slices of smoked salmon, creme fraiche, sweet pomegranate peppery watercress. The dish was very pretty, and tasted great! The fritters had a nice crisp exterior and all the elements balanced together really well. Le Petit Prince comes from the "make it Instagrammable" school of cafe-ownership, with super pretty dishes! We came here with my parents one weekend and had a great brunch. The owners were very sweet - they're actually from East Malaysia and called my dad Uncle! Hehehe. 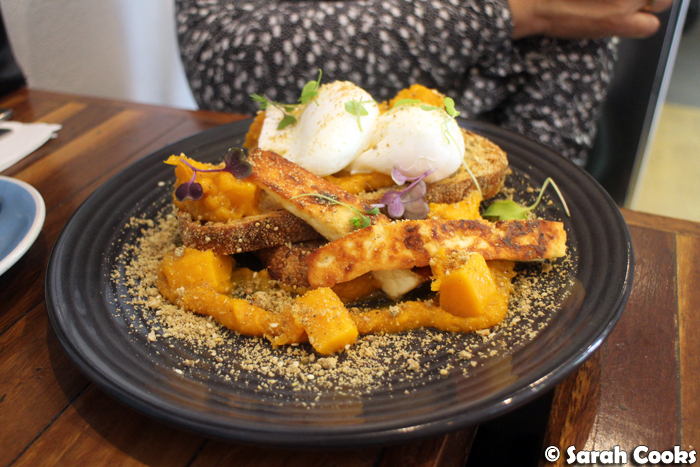 My mum loved her roast pumpkin dish, which included all of her favourites - roast pumpkin, poached eggs and grilled haloumi. 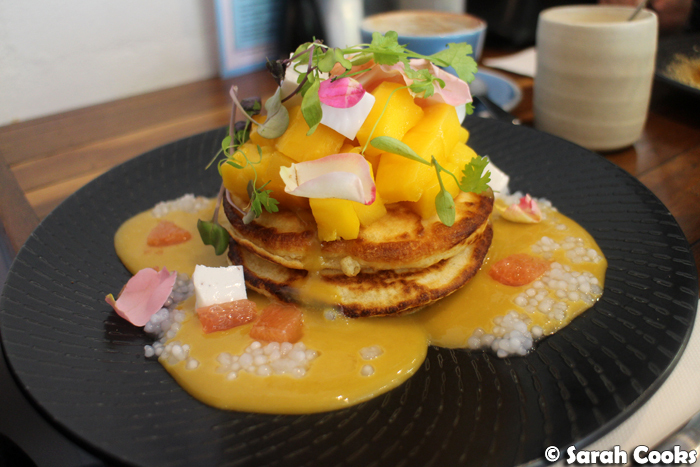 Sandra's mango hotcakes were also pretty as a picture! The hotcakes themselves were a little dense, but the fresh mango, coconut jelly and sweet mango curd balanced it all out. 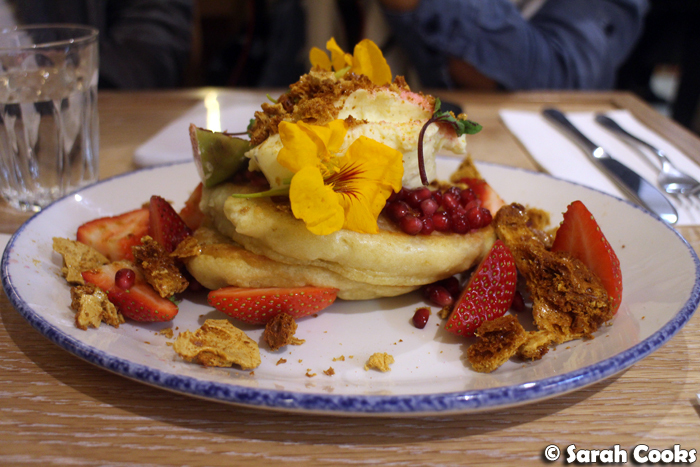 It was nice to have a hotcake dish that was fresh and fruity, rather than rich and creamy like at many other cafes. We came to Golden Child one weekend when the line at nearby Baba Sus was just way too long and we didn't want to wait an hour for breakfast. (I actually think they might get a lot of their customers this way! 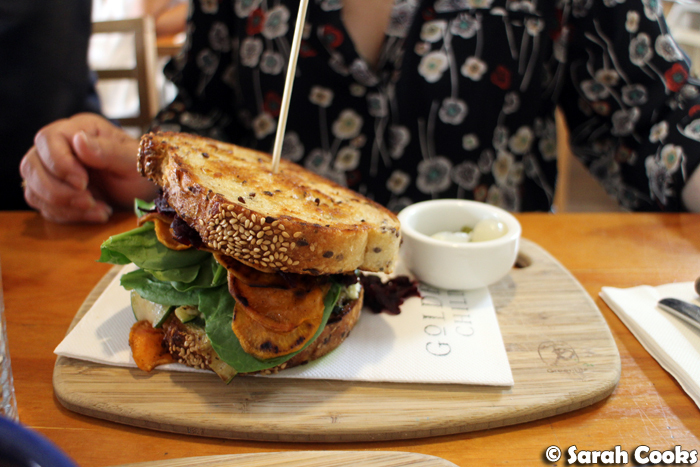 Not that it matters, Golden Child is a good cafe in its own right). The service was very friendly and accommodating, and most of the dishes we ordered hit the mark. The raclette was not the melty Swiss fondue that I thought it might be, but rather like a grilled vegetable toastie on steroids. My mum absolutely loved it and couldn't stop raving about it! The chips were incredible. 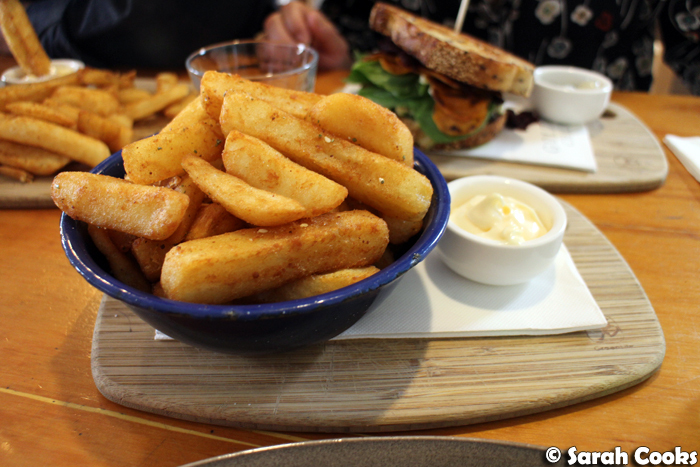 Fat chips - super crispy on the outside and super fluffy within. Best! The broken waffles were also a winning dish. These were crunchy rather than fluffy (which I like), and the ice-cream and pears worked well together without being over the top. Yum! 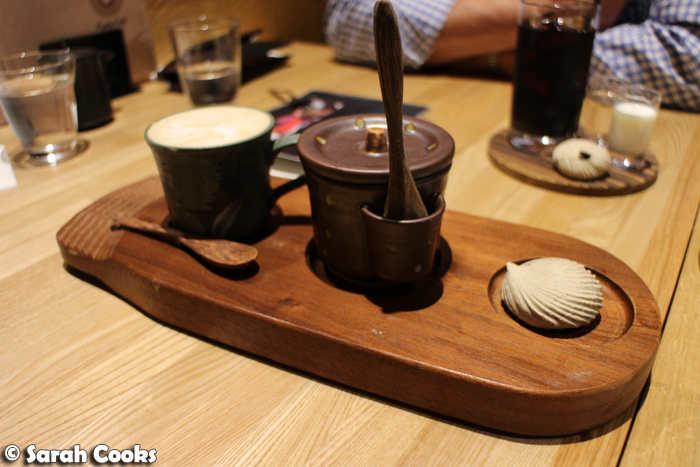 This last one is quite a different cafe - Kyoto Cafe in Eastland shopping centre! This is a Japanese cafe and restaurant. 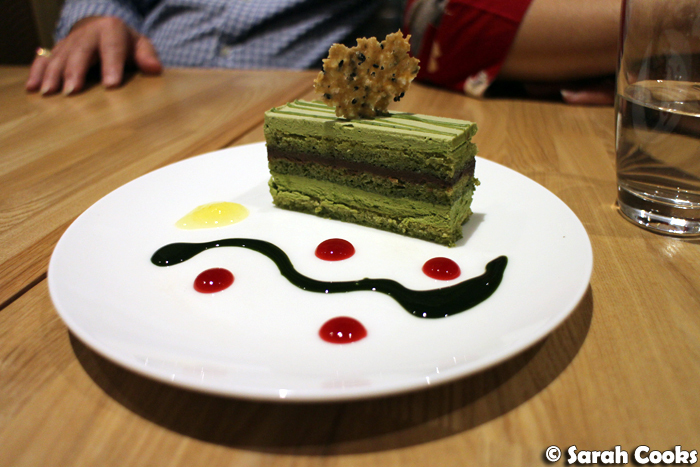 They do serve full meals (sushi, bentos and more), but so far I've only visited for afternoon tea, or to grab a takeaway matcha latte to fuel an afternoon of shopping. 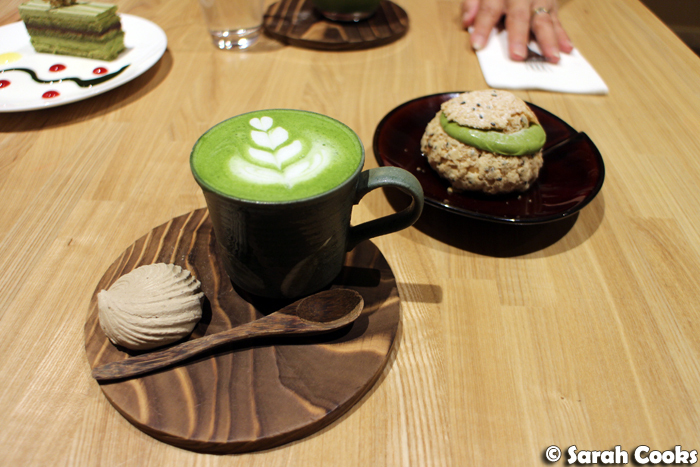 In addition to the matcha and other Japanese teas, they do coffees and desserts with a Japanese twist. So those are all the cafes I've visited on the east side of town recently! Have you been to any of these? Any favourite dishes? Have you got any other east side cafe recommendations for me? These are magnificent places! Everything looks great! From the coffees down to all the dishes! It's a total wow! Whoah a whirlwind of cafes. Those mango hotcakes must be the prettiest construction I've seen.